Many things can happen in a year. A year ago, I was in Santa Barbara for my cousin’s wedding – one of the most beautiful weddings I have ever been to (and I’ve been to quite a few!) That was one of the only times I had ever been to Santa Barbara. A year ago, my brother relapsed. He has been undergoing treatment for the past year, and should be cancer-free a year from now. A year ago, I was beginning my last year of college. To not have to worry about scheduling classes, buying books, going to lectures, and taking tests – it’s a wonderful feeling to have graduated. A year ago, I had never tried sashimi. Now, a year later, I use sashimi in nearly every recipe I make. I’ve got to make up for all those years without sashimi, right? A year ago, Son and I were designing the Sushi Day shirts, hoping and praying that people would actually buy them. A year later, we’ve sold many of the shirts, and we still have a few left, if you’d like to buy one! What has happened for you in the past year? What are you looking forward to in the next year? If nothing else, your next year should definitely include these Santa Barbara Rolls. All the ingredients come together to make a delicious piece of sushi, and yet the hotate (scallop) still manages to shine through. I couldn’t stop eating them… even now, I’m craving more! Remove the tails of the shrimp. Steam asparagus for a couple of minutes until they are easy to bite into. Remove the tough section of the scallops and discard, or freeze to use in a seafood stock later. Slice the scallops into about 4-6 slices, depending on the size of the scallops. 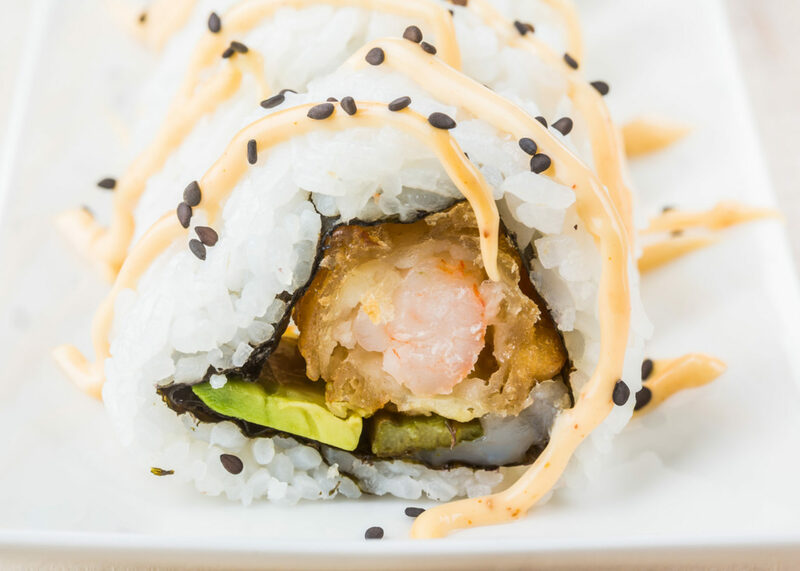 Roll the sushi inside-out, using two pieces of tempura shrimp, some avocado, a stalk of asparagus, and the equivalent of one scallop as your fillings. Spoon the spicy mayonnaise into a plastic ziplock bag and cut a tiny bit of one of the bottom corners of the bag off. 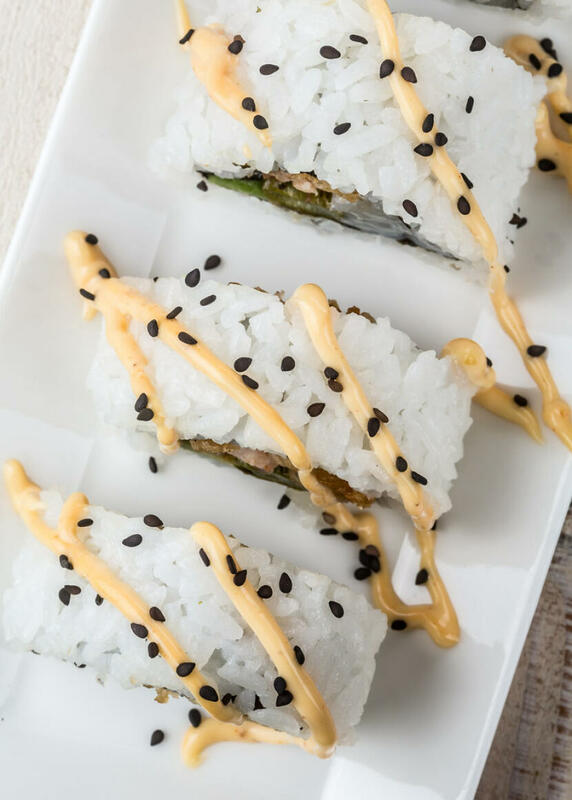 Squeeze the spicy mayonnaise through the hole to drizzle over your sushi. Actually, I was starting my last year of college as well! Now, I look forward to a career following an internship with Lucasfilm. That, and I look forward to lots of great sushi now that I’ve been reading your site! well that deserved an A point. nice recipe. Thanks a lot for the recipe. A bit difficult to find tempura shrimp around my place.